The Singing School offers a full-time four-year course in basic singing studies (192 ecvet). There is a possibility to complete a competence-based qualification or parts of it. In addition, students can choose an additional fifth year to specialize in artistic, pedagogical, or therapeutic directions. You can also study part-time, setting your individual objectives. You can, for example, take off a year from work or participate in shorter intensive periods. If you have already graduated from Singing School, you can ask about the possibility to pursue individually tailored further studies. Please contact us to arrange a visit. Students will concentrate on the uncovering of the voice method and the related anthroposophical concept of the human being. General musical knowledge and skills will also be studied. Concerts and projects are an important part of the studies. The weekly programme includes the following studies: daily group work with the singing exercises, individual singing lessons and solo work with accompaniment, choir and ensemble singing, music theory, music history, ear training, sight-reading, general knowledge of music, study of uncovering of the voice method, anthroposophy, folk songs, pop and jazz, pedagogy, study of a musical instrument, e.g. piano. Individual courses on physical exercise, eurythmy, painting, improvisation, basics of singing therapy. Students of Singing School can apply to undertake a Vocational Qualification in Music, carried out as a competence-based qualification in co-operation with Turku Conservatory of Music. The School Year is from the beginning of September to the end of May with approximately 3 weeks vacation at Christmas and 2 weeks at Easter. Additionally, the autumn and winter terms each have a half-term break of one week. Since students come from many countries, the common language for teaching purposes is English. Teachers: Merja Palmu, Judit Bálint and Risto Suurla. 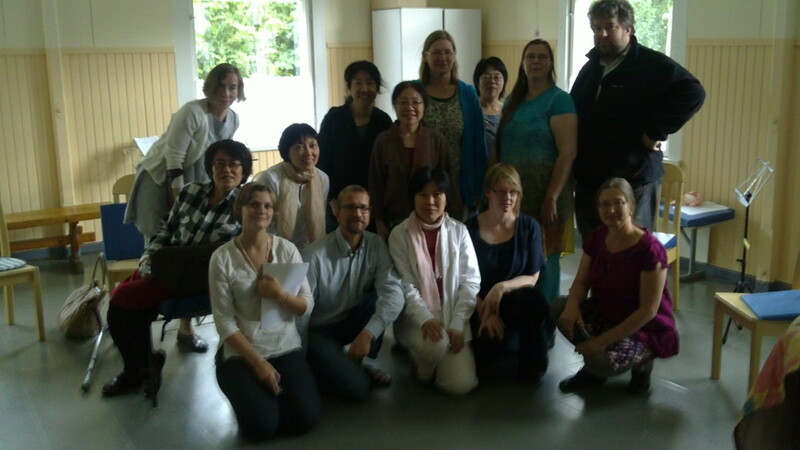 Guest teachers Timo Luotonen, Kuniko Hirai, Marja Suurla, Sirkka Suurla, and others. Please send a hand-written biography, including your reasons for wishing to attend the School, and a photograph. Please include copies of your previous diplomas and degree certificates. You will be invited for an interview and singing audition. Please bring a health report to demonstrate that there are no medical reasons that might affect your ability to study at the Singing School. The grounds for admittance are individual. You can apply at any time during the year. Some previous experience of the exercises of the “school of uncovering the voice” as well as a basic knowledge of anthroposophy is recommended. See e.g. “Uncovering the voice” by Valborg Werbeck-Svärdström, published by Rudolf Steiner Press, London. Tuition fee is currently 2500 € per annum. The cost of living is not included in the fee. Please ask about the accommodation options at the school. The school is located some 20 kilometres from the city of Seinäjoki, in an old school building surrounded by nature and a small village.